The Chief Information Officer (CIO) serves both as the Department Director for the Department of Technology Services and as the County's enterprise resource for technology guidance and consultancy. The responsibility of the CIO is to understand the business needs of both the County Government and the residents of Arlington County and to identify technology solutions to best meet the needs of both constituencies. Jack Belcher is Arlington County's first Chief Information Officer for Arlington County, appointed in August 2000. 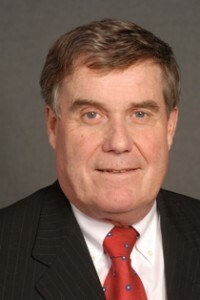 During his tenure at the County, Mr. Belcher has introduced an Enterprise Resource Planning System, integrated Assessment and Revenue Collection System, Voice-Over-IP-based enterprise telephone system, cloud-based services (Office 365 and Oracle On Demand) and the County’s broadband fiber optic network, ConnectArlington. Read Jack Belcher's full bio.